ROYAL OAK (WXYZ) — Detroit Lions punter Sam Martin is no stranger to giving back. The Sam Martin Foundation is constantly finding ways to give back to the Metro Detroit community year round. 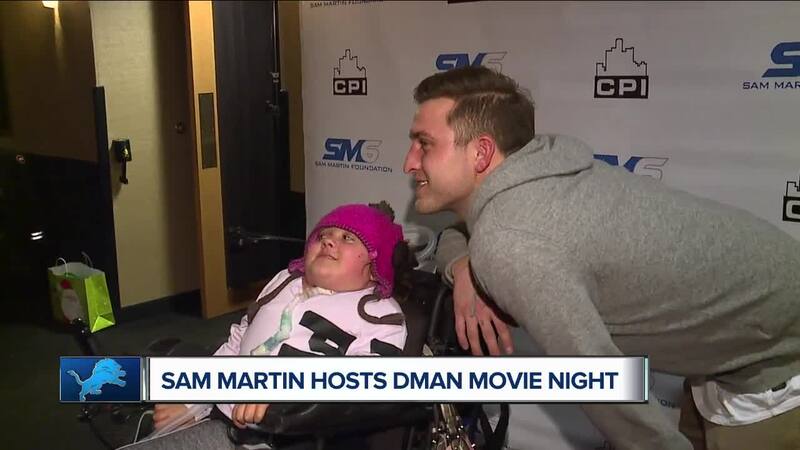 On Friday night, Martin hosted 75 members from Danny's Miracle Angel Network for a special movie night at the Emagine Theatre in Royal Oak. Everyone received some gifts, food and a special showing of the newly released 'Grinch' movie.